Fill a medium bowl with 1/2 cup of cold water. Sprinkle gelatin from all three packets over the water and set aside. 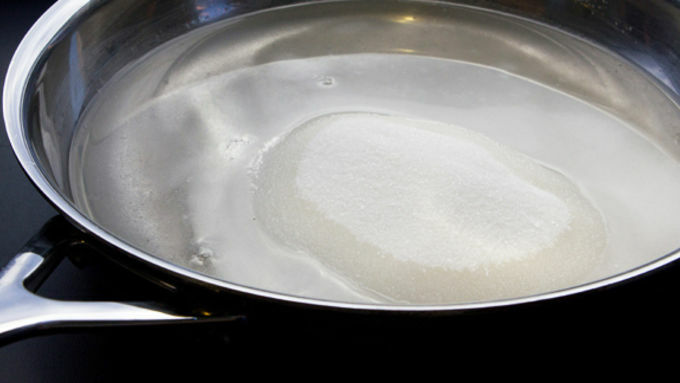 Place 2 cups of sugar and corn syrup in a large skillet with 1/2 cup of water. 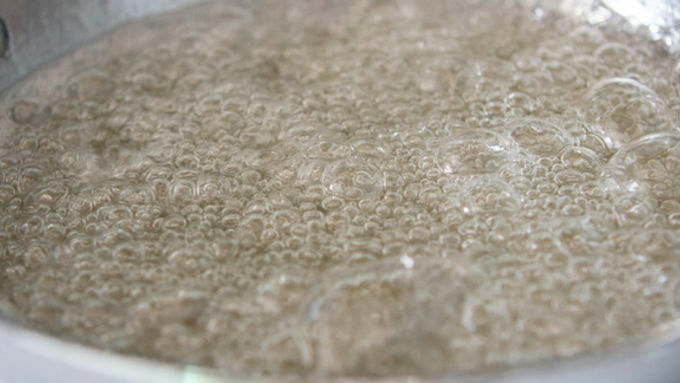 Whisk together until boiling, then allow to boil for 2 minutes, or until the mixture reaches about 240°F (soft ball stage) on a candy thermometer. 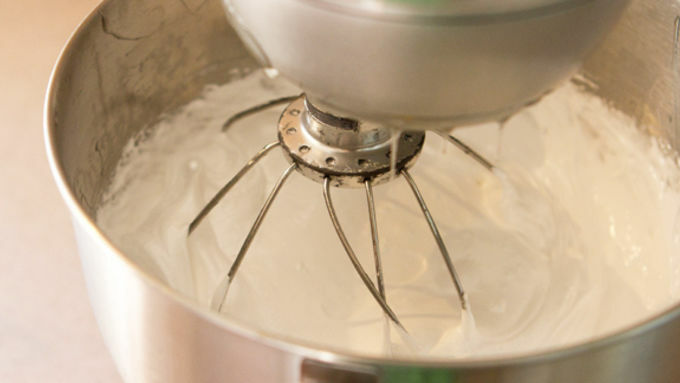 Place softened gelatin in a stand mixer bowl, fitted with the whisk attachment. Slowly begin to drizzle hot syrup into the bowl, with mixer turned to low. Add vanilla. 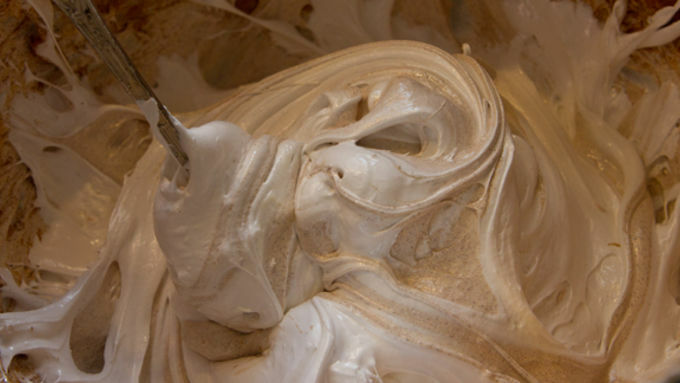 When all syrup is in the bowl, turn beater to high and whip until the mixter is very light, fluffy, white and thickened. Use a slightly moistened plastic spatula to scoop half of the mixture into a small bowl. Set aside briefly, while you add 1 tablespoon of the cinnamon to the remaining marshmallow mixture in the stand mixer bowl. Whip until well mixed, about 30 seconds on high. Add the reserved marshmallow mixture back into the bowl, and fold the two mixtures together with a spatula, just until the mixture begins to swirl. Spray a 9x13 baking pan with nonstick baking spray. 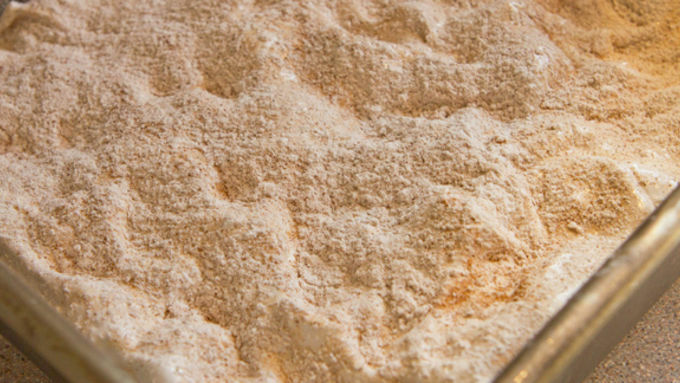 In a small bowl, stir together the remaining sugar, cinnamon, and powdered sugar. Sprinkle a tablespoon of this mixture over the bottom of the prepared baking dish. Transfer the swirled marshmallow mixture into the baking dish. Moisten hands slightly to smooth out the top of the marshmallows. Sprinkle with another tablespoon or two of the powdered sugar mixture. Allow marshmallows to cool and set up for about an hour. Use a sharp knife, which has been dipped in cold water, to slice marshmallows into bite-sized squares. 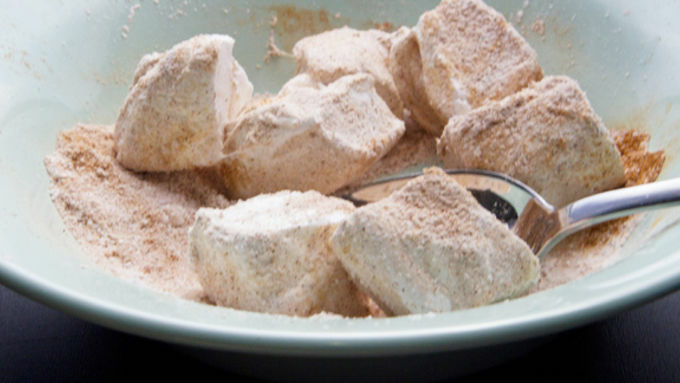 Roll in remaining powdered sugar mixture to keep marshmallows from being overly sticky on the edges. Allow them to dry slightly before storing in an airtight container. (Or just eat 'em like a piece of candy). Eat like candy, serve in hot cocoa or use in any other dish where youd use marshmallows. Store in an airtight container. 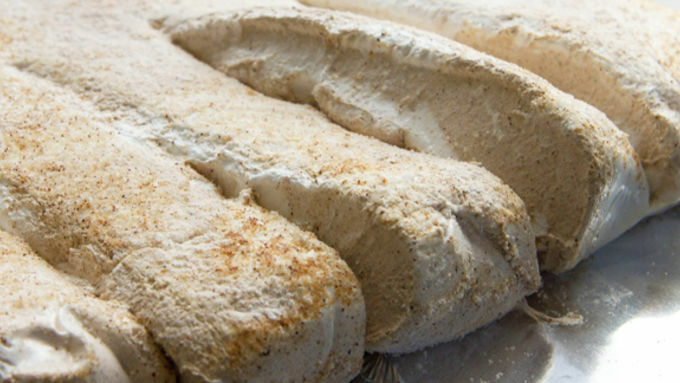 If you like snickerdoodle cookies and ooey-gooey marshmallows, we've got a great combo for you! 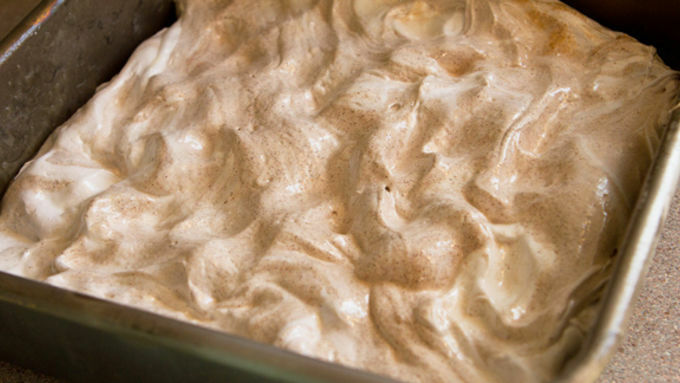 Imagine a cup of cocoa with these Homemade Snickerdoodle Marshmallows floating all melty-like on top... I know what just happened. You read "homemade marshmallows" and your eyes glazed over. Yeah, I know. 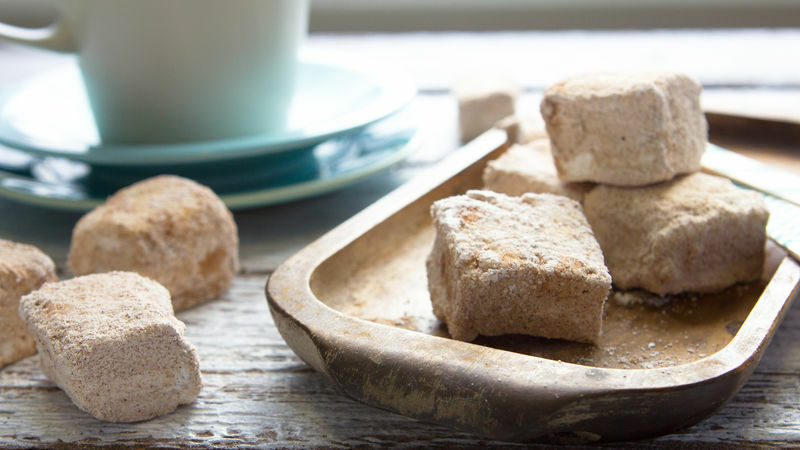 That happened to me when I came across these Homemade Snickerdoodle Marshmallows. I was all, "Don't you have to be a five-star candy chef to make these?" Answer: Nope. Because 6 ingredients and 20 minutes later, I was heel-clickin' about my kitchen, squealing like Shirley Temple, starting in on a second batch, and conjuring up Christmas presents for every human I knew. I know the process may sound haute and overwhelming, but it's actually soooo easy. And, I've gone and made it even easier, because I took photos all along the way and am going to walk you through the entire marshmallow-making process with easy, bite-sized instructions. Shhhh! Don't tell anyone, we have to keep this a secret! Just think of how many likes we could get on Instagram if we were to tell people we make homemade marshmallows. I mean, neighbors knocking down the doors, people. You're about to become famous. You ready? Pull out your camera. We're about to blow our Instagram notifications up. Isn't it fabu being awesome like we are? Here we go! Merry marshmallow eating!